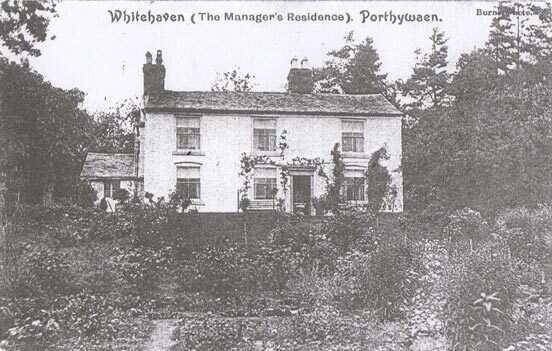 The Whitehaven and Porthywaen Quarries were originally leased to the Misses Elizabeth and Eleanor Newill who about 1860 developed a new tramway between the two quarries and had a flourishing business supplying lime to farmers from the Vyrnwy and Banwy valleys. The old tollgate at Llansantffraid was one of the most profitable in the country taking £663 for road tolls in 1844.. It would take at least two days for the carters to collect their load and return to their farms and in most cases they would stay overnight sleeping by the open hearth lime kilns. The Newills sold their lease to Thomas Savin of Oswestry who became bankrupt in 1869. 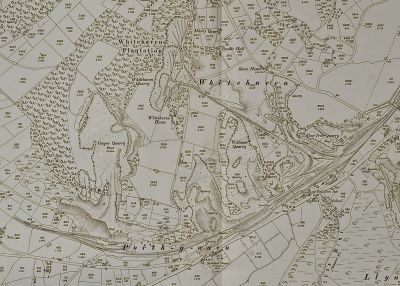 Whitehaven Quarry was later leased to Mrs Mary Williams and eventually to Messers J>R Williams who in June of 1884 submitted their account of half yearly royalty payments. 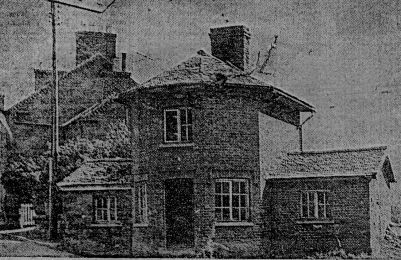 Photo of quarry Managers house(now demolished) on the top of Whitehaven quarry the owner was Mr Nicholson and his quarry manager was Mr Wilshaw. Mrs Mary Williams was a lime burner at Llynclys and Miss Ellen Newall was a limestone master. At one time Mrs Mary Williams owned a quarry at Porthywaen. At one time four blacksmith shops worked.The horse stables were sited at Porthywaen Wharf. Photo of the old Tollhouse at Llansantffraid. It was built in the early 19th Century and in 1844 took £663 in Tolls, mainly from farmers going and coming from the Limekilns at Porthywaen. Unfortunately the building was deemed to be in a dangerous position and was therefore demolished. Date not known at present. 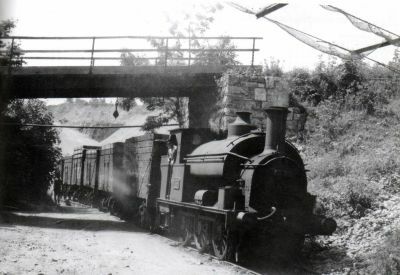 Photo from 1949 of a 0-6-0 saddle tank engine with a loaded stone train coming out of the quarry. 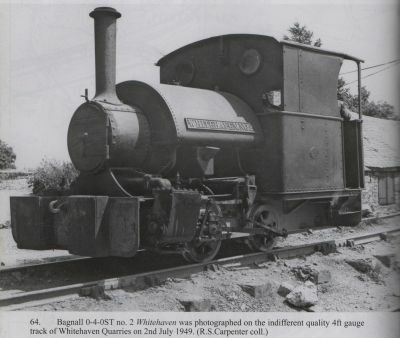 Photo of 4ft guage loco named Whitehaven No2 inside Whitehaven Quarry. Date unknown. 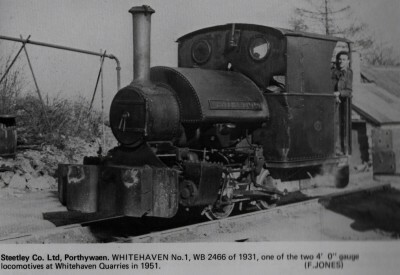 Another loco named Whitehaven No 1 also worked the Quarry. Both engines were 0-4-0 saddle tanks, 4 foot guage. Whitehaven No 1 - WB 2466. Whitehaven No 2 - WB 2497. WB 2466 was scrapped on site about 1953 by Atlas Foundry Ltd of Shrewsbury. Photo of Whitehaven No 1 inside Whitehaven Quarry. 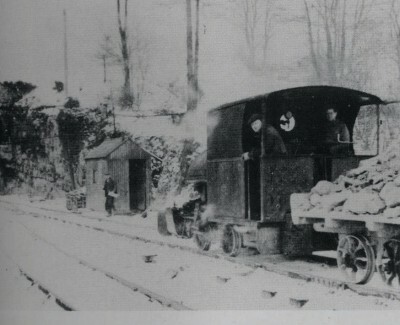 Photo of one of the Whitehaven locos in operation in the quarry date unknown. 1948 In one of the sheds at Porthywaen quarries local boxing matches took place.